Do you have an October fundraising event? 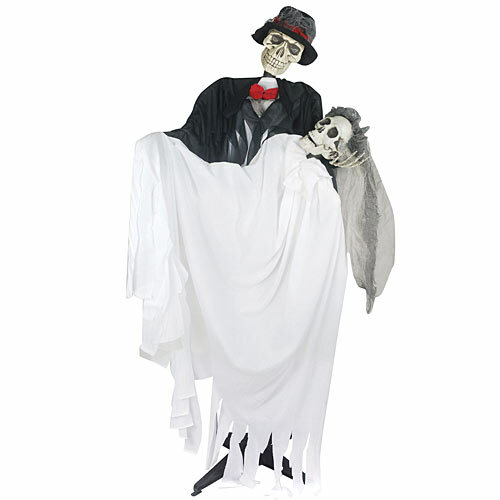 Work a Halloween theme and Halloween party decorations into your fall fundraiser this year. Bring something fresh to annual fairs and festivals with newer products such as personalized bottle labels, or try one of the more unusual fundraising ideas below. For an indoor Halloween themed carnival fundraiser, check out the Radiant Halloween balloon arch from Halloween props. The arch helps you create a happy, festive entrance that is rated “E” for “Everyone.” As always with our Radiant arches, you have balloon color choices. If the fundraiser really must be geared more generally to fall, select candy corn or autumn leaf colors instead of orange and black. For festival and tailgate fundraising, set up a fuss-free outdoor canopy. Be sure to weight the corners adequately to stand up to errant autumn breezes. Hang a custom Halloween banner across the top of the canopy and sell bottles of blood-red soda with personalized Halloween bottle labels and matching Halloween candy bars. A road rally is a scavenger hunt on wheels, and it is becoming a popular fundraising event. It’s a cute idea as a fundraiser for a transportation-related cause, such as a school bus trip or Meals on Wheels, and highly amenable to a Halloween theme party. Donations are collected as registration fees. Just for fun, pick a theme with a mascot or conveyance that gets around: witches and brooms, vampires and bats, headless horsemen and jack-o-lanterns. Plant thematic Halloween party favors and props – especially wearables — on the scavenger list; and keep up the theme on snack tables for the gathering afterward. This type of Halloween fundraiser can come formal or informal, costumed or not, but one thing is clear: Halloween adds an extra shiver to a murder mystery party. Select a murder mystery kit from the many available online, and then come to Shindigz.com for the setting decorations. Whether your murder is committed in a 1920s Chicago speakeasy or at a fancy masked ball, you’ll find beautiful themed decorations and plenty of assistance. Complete the look by outfitting the players in accessories and Create-A Costume pieces from Halloween Costumes. If you can plan a Halloween fundraiser for Halloween weekend 2011, consider a tie-in to Thrill the World, a global celebration of zombie unity and of Michael Jackson’s video, “Thriller,” expressed through dance. Visit Thrilltheworld.com for more information on the dance and to officially register your event. Participating organizations are encouraged to use their events to support charities. Raise funds via “Thriller” dance workshops, costume contest entree fees, or a donations-at-the-door monster bash decorated with Halloween party supplies such as our smashing cemetery and zombie silhouettes and new Beware Zombie tableware. The final few months of the last year of high school can result in heavy-duty nostalgia, senioritis, or some combination of the two maladies reminiscent of the alternating chills and fever of a bout of flu! Graduation and exciting next steps in life will eventually provide the cure. In the meantime, try some soothing relief with a dose of humor by giving outrageous gag graduation gifts to fave teachers and classmates from the Halloween party supplies store. Use the gory brain mold, a little something from our bag o’ bones (“worked my fingers to the bone”) and one of our link chains (“chained to my desk with homework so I couldn’t go hang out”) as presentation items at parties and receptions honoring teachers, for a humorous touch. Start out your remarks with the humor, then work your way into more earnest expressions of sentiment and gratitude. The gory brains are also unnaturally good mementos of any zombie events you’ve shared with classmates: zombie themes for spirit days, zombie walks, zombies vs. humans contests and so on. We highly recommend the Martha Stewart™ severed finger invitations, which somehow combine the creepy with the classy, for a zombie-themed graduation party. Also, the Spine-Thrilling Movie Themes CD provides both ambience and fiendishly clever party favors for this theme. These are just a few examples of what you can do with these “awful” products. Think over the past year, and take your memories to Halloween party supplies for some needed comic relief in graduation gifts!